One thousand pounds you say?! Plus £4 extra for sweets? My word! Thanks so much to my 53 backers for making this happen and to everyone who came forward during the campaign to contribute to the album itself. 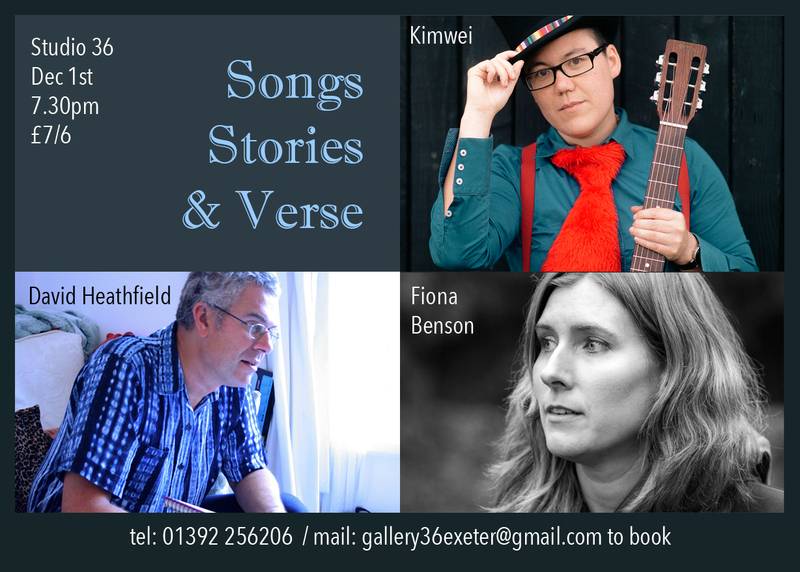 I’m proud to announce that the launch will be on Dec 1st at Gallery 36 in Exeter. If you would like a launch to happen nearer you, then message me and invite me to you area for a living room gig! Nothing’s Binary Kickstarter Campaign Launched! Click HERE to go straight to my Kickstarter Page and Pledge! After 4 year’s work, Nothing’s Binary (The Album) is almost ready! It’s got all your favourite songs on it, including the viral title track (with Billie Bottle), I Won’t Be Your Heroine, Superheroes, Spell Out Your Name, Truthseeker, Ordinary Miracles and more! It’s the first album I’ve made as a Digital Nomad and van dweller and the sound is very spontaneous and intimate as a result. I sincerely hope you enjoy it as much as I loved making it. There’s a bit more to do on the album, but mainly what I’d like from this Kickstarter, is to be able to get the Vansion I live in ready for winter. It would mean the world to me if the people who love my music would contribute to how I live as a musician and help keep me warm this winter. -Use of a sewing machine/workshop where I can make and install better curtains. -A studio in London where I could record a drummer. In summer 2014 I took my own, self-designed £0 Challenge, to run out of money on purpose and then build back up from zero without begging borrowing or stealing. Here’s my video series about the experience, which I’m now making 4 years later. 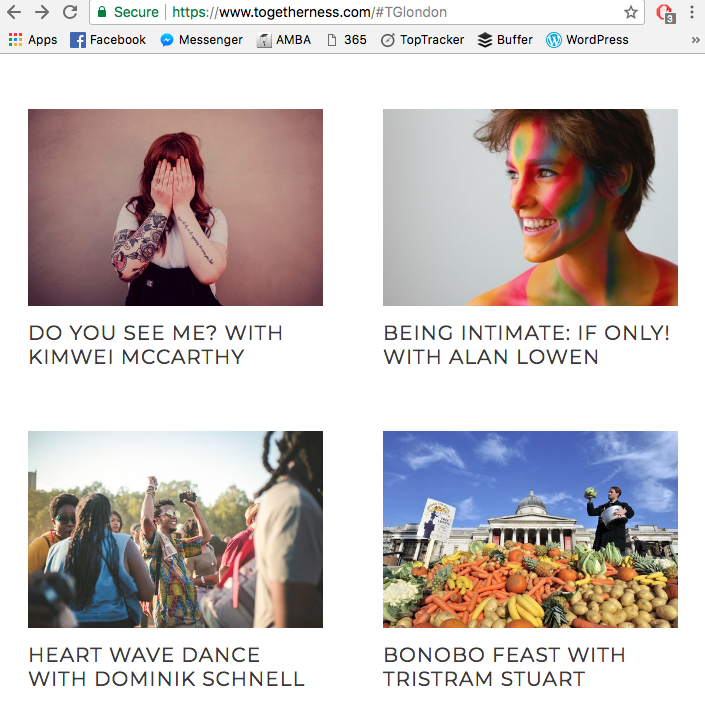 A new instalment is uploaded each Tuesday, so subscribe to avoid missing any. 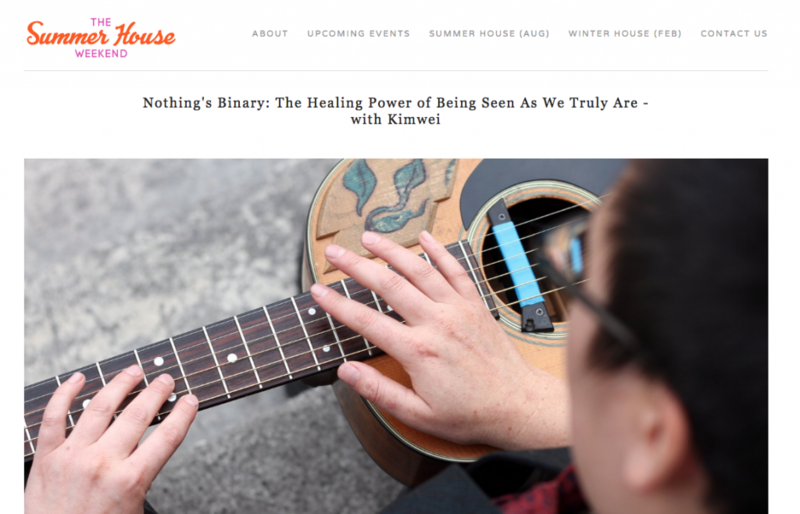 Kimwei takes his “Nothing’s Binary” workshop to the legendary Summerhouse Weekend at the end of August, as well as performing songs exploring gender and consciousness. 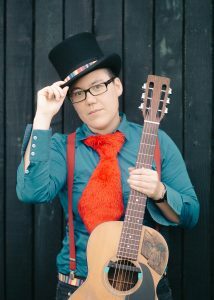 This event is sold out, but watch this space and nothingsbinary.com for more gender-spectrum celebrations from Kimwei! We all have the desire to be fully accepted, yet being truly understood is rare. Why is this? When have we been asked to decide between inclusion and self-realization? When has it seemed necessary to go against our true nature in order to be loved? I’m thrilled that what started off as me writing one song about being non-binary and recording it with Billie Bottle, has expanded to this point now. It’s included performances, hosting events and running workshops, by myself or with Billie too. I’ve also spoken on BBC Radio Devon, and Beyond The Binary magazine. I’m grateful for the opportunities to contribute to the breaking down of gender stereotyping and celebrating all genders. Long may it continue. 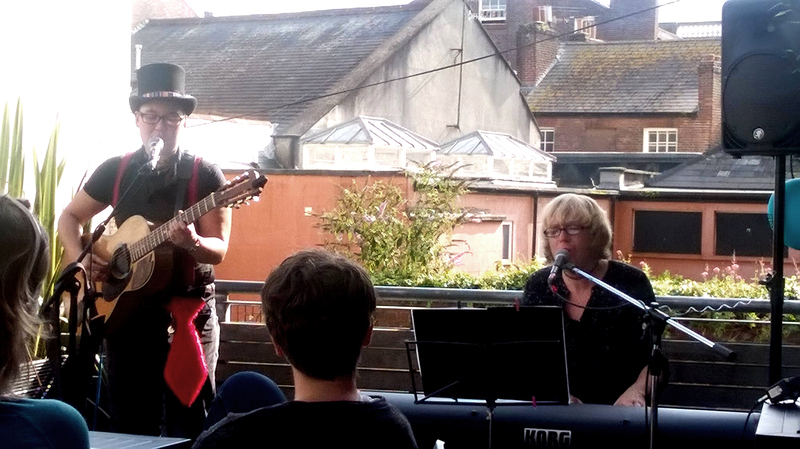 Billie and I had such a great time playing at Exeter Street Arts Festival at the weekend. Thanks to all those who came, and who stayed on to chat with us too. We’re cooking up more so stay tuned if you’re up for a Nothing’s Binary gathering in the near future. 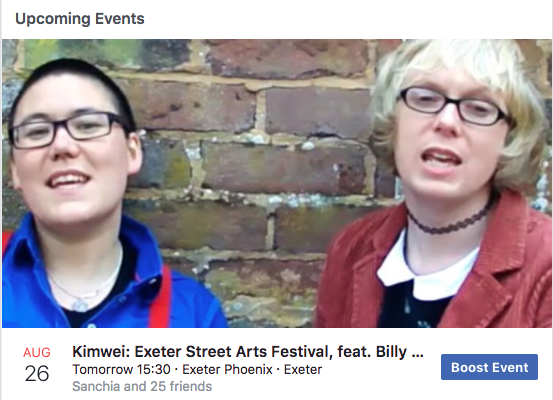 Billie and I reveal new tracks from the “Nothing’s Binary” series at The Exeter Phoenix, 3.30pm as part of the Street Arts Festival.